The 6th Annual Cormorants Open Gala is most successful to date…. 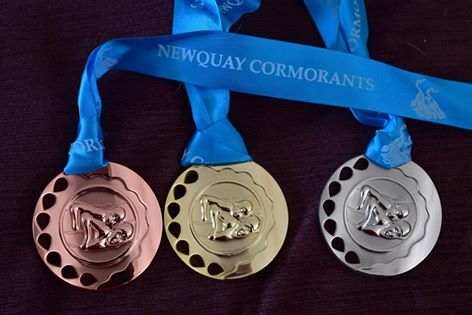 Newquay Cormorants 6th Annual Open Gala saw some truly amazing swims throughout the competitive gala. Fourteen clubs and their supporters packed out The Bodmin Dragon Leisure Centre and gave the meet a fantastic atmosphere throughout the day. We would like to thank all swimmers who came – along with their coaches and team managers – as well as all of the Officials and pool staff who helped the gala run so smoothly. To round off the day Newquay Cormorants also were crowned ‘Top Club’ and young swimmer Lilli Price was presented with the Cormorants Cup from club President Steve Davies.